Cole Custer hangs out with LLUCH patient Edgar Rodriguez, 6, of San Jacinto during a visit to the hematology/oncology outpatient clinic. 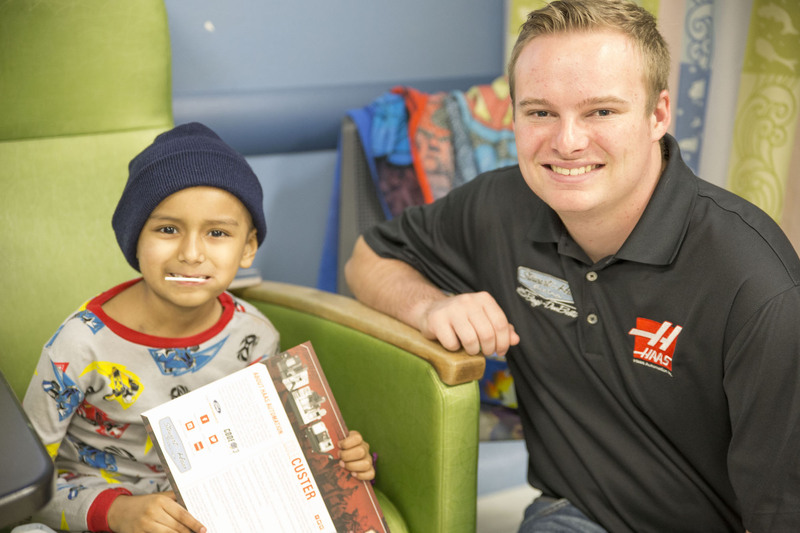 SAN BERNARDINO, CA – March 26, 2018 – Loma Linda University Children’s Hospital (LLUCH) patients recently received a visit from NASCAR’s Cole Custer. The 20-year-old Southern California native stopped by the hematology/oncology outpatient clinic Wednesday, March 14, visiting with patients, signing autographs and delivering toys as they received infusion treatments. One patient, and a fan of race cars, Edgar Rodriguez, 6, of San Jacinto, was all smiles as he met Custer who was in town for the NASCAR Xfinity Series Race at Auto Club Speedway in Fontana. Custer placed sixth in the race, which took place on Saturday, March 17.